Last month I got the privilege to meet Dr. Dale Atkins, a licensed psychologist and relationship expert who focuses on families, couples, parenting, healthy aging, managing stress, and maintaining balance in one's life. Dale does it all, she is a recurrent guest expert in the media (she has been on "The Today Show, Good Morning America, CNN, and more), she is a sought after lecturer and keynote speaker, author of several books and does this all while running her own private practice in NYC. Simply to think about stress can invite or increase it—in a variety of ways. Happily, there are a number of ways we can successfully deal with, delay, or defeat stress, and as this month’s contributor to Joan’s Blog, I am eager to share with you some things I’ve learned from other women who have learned to protect their hearts and their minds. According to the National Institute of Mental Health, stress is the brain’s response to any demand. Psychological stress occurs when we feel tense or strained in response to a person, situation, place, or a behavior. Many things can cause this response, and for each of us both the cause and its response can be different. What causes me stress may fail to give you a moment’s concern—and vice versa. What causes me stress on one day—or at a certain time of day—may not affect me at another time. What I have come to know is that there are excellent techniques we can use to prevent some of the negative stress responses that hurt our hearts—and those around us. 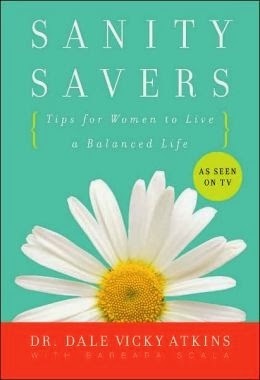 A few years ago, I wrote a book called Sanity Savers: Tips for Women to Live a Balanced Life, and in it I focused on the “Five S’s” (Self, Support, Surroundings, Stimulation, and Savor), all of which can be utilized to help us thrive when dealing with life’s stresses. I encourage you to maintain a healthy body, mind and spiritual connection. Ask yourself: how is my body reacting to this situation? Is this good for me and my well-being? What can I do in my daily life to consciously enhance my internal and external health and well-being? Be with people in your life whom you care about and who care about you. Ask yourself: What do I need to do to get the help I need to get through this situation? Are my resources being drained or filled through interaction with this particular person? What are some ways I can change the way I deal with this person and how does my attitude or pattern of responses help or hurt our relationship? Connect with nature and create a peaceful place for yourself. Ask yourself: How can my environment nurture and create calm? Am I keeping a fresh outlook by staying grounded in the natural world? How can periodic “de-cluttering” in my environment help me to “de-clutter” my mind? Live a life with purpose, curiosity, and passion. Ask yourself: Am I keeping myself mentally engaged and challenged? Is life interesting and fulfilling Am I learning new things and am I willing to look at things from a different perspective? Take time to be, have fun, and appreciate and demonstrate gratitude for the gifts in your life. Ask yourself: Am I reflecting on the essence and joys of what this situation can bring? Am I doing the best I can do to be aware and appreciate what’s happening today, staying in the present moment? We can all think about our own life and its many stressful situations. The problem is not that we experience stress (all human beings do). The problems begin when we do not deal with stress effectively. Each and every one of us has within us the power to manage stress by changing how we respond. Whatever we may be experiencing—the illness or death of a loved one; divorce; unemployment or issues at work; moving; relationships; aging—we have at our disposal choices we can make that will alter our lives and our health. Stress has been linked to all the leading causes of death, such as cardiovascular disease, cancer, accidents, and suicide. Almost 90 percent of all visits to primary health-care providers are due to stress-related problems. Nearly one-half of all adults suffer adverse effects from stress. It is estimated that 1 million Americans miss work due to stress-related complaints. Workplace violence has been attributed to stress. Homicide is the second leading cause of fatal occupational injury. The above facts are stark—and they sound entirely negative—but stress is not always derived from negative situations, and not all stress is bad. For instance, when we face a treacherous situation, our body responds immediately. Our pulse increases along with our breathing. Our muscles tighten and more oxygen is sent to our brain. We are placed on “high alert” and are prepared to survive the situation that confronts us. This is a healthy response, and it is one we want and need. But, what most of us do not realize is that we were not designed to sustain this response for long. We need to respond and recover. When we fail to recover quickly, our immunity is lowered and our bodily functions fail to work correctly. Cortisol, the human-stress hormone, mobilizes energy and helps us respond to threats, but chronically high levels of cortisol can badly diminish our health. When we travel, it is vital to know where we’re going, and when we’re on a mission, we should know what we’re doing. This is true of stress, as well, and it is good to know what we’re experiencing. Routine stress is the price for living, which is to say it arrives when we’re running late or the bank account is overdrawn, or the kids won’t wake up on time. Short-term stress (acute) and long-term stress (chronic) are very different, and all of us have experienced both. Short-term stress usually revolves around an issue like an illness or a death or a wedding or the loss of a job—a limited situation that calls for our responses. Chronic stress often occurs when we fail to recognize and address short-term issues healthfully, and the stress response that we have becomes our “go-to response” to virtually everything. Chronic stress likely leads to serious health issues, including heart disease and stroke. Traumatic stress is experienced after an event like a major accident, war, an assault, or a natural disaster, and it is usually after we have experienced this form of stress that we recognize the need for, and seek, professional help. Just think of how quickly the mental health providers are called in after there is a school shooting. We are sensitive to helping our youngsters when they witness something traumatic. We need to be as caring with ourselves. While you probably now know that stress can lead to a host of health problems and disrupt your life, you may not know that you can be empowered to prevent or heal these situations by paying attention to what works in your life. As you begin to realize what is involved in this “empowerment”, write down what works for you when you feel stressed so you can rely on these practices or techniques when you feel any sort of stress arising. If nothing comes to mind, keep reading; I have some suggestions! In time you will find that it will feel as if there is a natural “default” to simply go to those thoughts, activities, or realizations that keep you calmer, healthy and stress-free. Just as there are many potential stressors around us, there are many potential “stress busters” or “sanity savers”. We just need to remember our internal and external resources and what works at specific times. We can remind ourselves that we know where to look, what to do, who to call, or where to go, and we can relieve our stress as we also protect our hearts. Now that we have a better understanding of the various types of stress—as well as the various means of controlling or preventing stress from taking control of our lives—we need to focus on the particularly negative effect stress has on women and their cardiovascular health. Dr. Michael McKee, a clinical psychologist specializing in cardiovascular medicine and Chair of the Department of Psychiatry and Psychology at the Cleveland Clinic, notes that “emotional stress puts physical stress on your heart by raising blood pressure, promoting inflammation and increasing your heart rate. Life’s pressures—money worries, job frustrations, relationship woes, family strains—can also lead to unhealthy coping mechanisms, such as overeating, heavy drinking, or smoking.” We may know that these escapes from stress are bad for us—and bad for our hearts—but we may feel trapped within our anxiety and may continue to rely upon these unproductive and unhealthy habits to cope. Unless we change our attitude not only about those things that cause us stress but about the methods of lessening its effect, the negative “go to” patterns will persist. When we understand that it took us many years to become attached to our current “survival” methods for dealing with stress, we can become more compassionate to ourselves and forgiving as we become open to investing time in creating some new, healthy “stress busting” habits. People with heart disease who maintain an upbeat attitude are less likely to die than those who are more negative. Research supports this. Being with positive people also helps us to have a more positive attitude about our lives. Laughter has been found to lower levels of stress hormones, reduce inflammation in the arteries, and to increase the so-called “good” or HDL cholesterol. So, having a good laugh can help your heart. No matter how bad things are, laughing dissolves tension and because we laugh, we are better able to deal with our stress. When we try to lighten up, take things less seriously, we can help replace a negative mood with a positive one, reducing the level of stress. Every time you are physically active, whether you take a walk or play tennis, your body releases feel-good neurotransmitters called endorphins. Exercising not only melts away stress, but it also protects against heart disease by lowering your blood pressure, strengthening your heart muscle, and helping maintain a healthy weight. Many people are afraid of exercise. They think that they need a trainer or some expertise to exercise well and consistently. We all need to remember that any form of exercise can be a stress-buster. I think of it as meditation in motion. We focus on what our body is doing and that helps us to manage our stress. Try it. As you move, “zero in” on the specific activity such as the repetitive steps or strokes and your tension begins to fall away because your concentration shifts to your movements. In all likelihood when you finish your exercise, you will feel more optimistic, and you’ll begin to look at the day’s irritations differently, placing your attention on the more important things in your life. Those endorphins are released whether you are hiking, playing tennis, swimming, riding a bike, or taking a walk, so nothing is a waste of time, and nothing calls for expertise. It’s impossible to escape stress when it follows you everywhere (or if we bring it with us!) Disconnect yourself from technology. Take a break and avoid e-mails, texts, tweets, and late night TV news. Take time each day—even for ten or fifteen minutes—to escape from the noisy, interruptive, world. Find your own path to stress relief. Take a warm bath, listen to music, draw, knit, dance, sit on a park bench or read a book. Any technique is effective if it works for you. Dr. Deepak Bhatt, director of the Integrated Interventional Cardiovascular Program at Brigham and Women’s Hospital in Boston, says that “Stress does cause some people to act in ways that increase their risk for heart disease.” One of the ways in which we act involves overeating—turning to pizza, cookies, and pies, foods that can escalate our cholesterol levels and pack on the pounds. It is not unlikely to find people who graduate to alcohol when the foods aren’t sufficient. “I think stress does lead to heart disease,” Dr. Bhatt continues, “but I think it’s through these established pathways.” We need to shatter these harmful pathways and create healthier means of coping and living. Historically, many cardiac patients have benefited by eating a low-fat, Mediterranean, or vegetarian diets. These diets are notably good for the heart. We now understand that healthy choices eat can have a positive effect on our hearts. The famous Nurses’ Health Study found that women whose diets consisted of lean proteins, heart-healthy fats like olive oil and canola oil, nuts, and vegetables were 29 percent less likely to have a heart attack and 13 percent less likely to have a stroke than those eating the typical American diet. Oatmeal—a healthy comfort food—is known to be good for the heart as well as lowering stress because it boosts serotonin, a calming brain chemical. A healthy diet of complex carbohydrates—whole-grain cereals, breads, and pastas—boost serotonin and inflammation, while including healthy doses of Vitamin C curbs stress and keeps our immune system strong. Healthy fats like those Omega-3 fats found in sardines, salmon, and tuna can prevent surges in stress hormones and may help protect against heart disease. Try to eat three ounces of these fishes at least twice a week. Pistachios, walnuts, and almonds may help lower cholesterol and ease inflammation in the heart’s arteries. Just a handful a day will do it. Black tea and green tea are both helpful in lowering cortisol, the stress hormone. Remember that caffeine can boost stress hormones and raise blood pressure. While we’re talking about food—watch your mouth. Keep an eye out for periodontal disease. People with gum disease are twice as likely to have heart problems as those without gum disease. So stay on top of dental cleanings and regular flossing and dig out that Water Pik. There appears to be a link between mouth bacteria and plaque in the heart arteries. Organic raisins have been found to help reduce gum disease and inflammation of the gums. Among the significant lifestyle changes we can make to deal with the daily stresses that enter our lives, meditation is also valuable in decreasing the effects of any and all stress-related events on our hearts. Research done by many medical professionals, including Dr. Dean Ornish, reveal that heart disease can be reversed with the use of non-invasive programs of medication training, exercise, and diet. 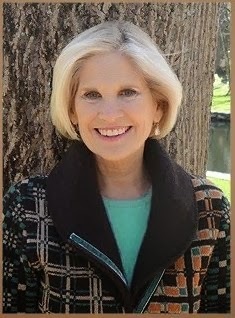 Many cardiac patients have also benefited from the application of Mindfulness-based stress-reduction programs (such as the program developed at the Stress Reduction Clinic and the Center for Mindfulness in Medicine, Health Care and Society at the University Of Massachusetts School Of Medicine in the late 1970s by Jon Kabat-Zinn). For thousands of years meditation has been associated with lowering levels of stress and increasing emotional well-being. The Scripps Translational Science Institute is presently working with The Chopra Foundation and The Chopra Center for Well-Being to study the effects of meditation on heart health. In an innovative study, wireless devices were attached to 20-70 year olds as they meditated and their blood pressure, heart level, body temperature, and other vital signs were monitored. Dr. Mehmet Oz, a cardiothoracic surgeon, TV personality and author, who practices Transcendental Meditation, believes that the three main risk factors for heart disease (high cholesterol, diabetes, and high blood pressure) can be reduced by incorporating meditation into our lives. If you are having trouble leaving the world and fully yielding to your quiet place and time, listen to music. Many people find that music helps them to relax. Research demonstrates that slower-tempo music helps to regulate the heart rate. A Canadian study, published in Nature Neuroscience, revealed that listening to your favorite music could help get rid of a bad mood. Researchers at McGill University in Montreal revealed that listening to pleasurable music of any description induced 'musical chills', which triggered the release of the feel-good chemical dopamine. Listening to relaxing music assists in quieting the mind, which permits you to enter a place of deep stillness and inner peace. Nature sounds such as ocean waves, birdsongs, rain, can be extremely calming as can recordings of chanting, “gong” sounds, or a piano sonata can get you to the deep state of calmness that will lower your stress and take pressure off of your heart. We can have enormous control over our body’s responses to stress and this both empowers and relaxes us. Both our stress levels and our hearts will immediately benefit from deep breathing, which so many people fail to utilize. While a regular practice of meditation or yoga can hugely improve your life and your health, deep belly breaths can improve your stress levels right now. They are not mutually exclusive. Many of us have been taking in breaths (not to mention information that can lead to stress) in a shallow, meager way. Simply breathe, deeply and from your belly, and you can feel your tension fading. Each of us needs to understand better what sets us off or sends us spinning. The goal is to find healthy ways to prevent that spin. Writing in a journal, along with improved communication among family and friends, can help you to practicing inward-focused thought, which, when combined with deep belly breathing, may be the method of meditation that resonates with you. Just take a few minutes to sit somewhere quiet, close your eyes, and focus on your breathing. There is research to support the fact that daily meditation has as efficacious an effect on blood pressure and cholesterol as prescription medication. And as I mention medications, be sure to check those you take. Even some over-the-counter medications may be problematic if you experience anxiety or depression. Did you know that the act of feeling connected more deeply with the world and others in it can decrease your stress levels? One of the 5 “S’s” is support. Think about how you can make an effort to strengthen your support systems (and to become a support for someone), to express your feelings, and to simplify your live. All of these things can be accomplish or aided by helping others. The act of volunteering gives us an increased sense of meaning and purpose in our lives, a heightened awareness of where we—and others—stand in the world. There are studies that show that those who give of themselves for the benefits of others notice increase mental and physical well-being. In the June 2013 edition of “Psychology and Aging,” researchers at Carnegie-Mellon University in Pittsburgh found that adults over the age of 50 who volunteered on a regular basis (approximately 200 hours per year) were less likely to develop high blood pressure than non-volunteers. Volunteering is one of many ways to connect with others and to demonstrate concern and kindness. We always have opportunities to do acts of kindness for others which, when we do, usually reduce our stress levels. Anyone who owns a pet will gladly list for you the benefits: Pets make us laugh; they offer unconditional love; they calm us down; they are good company; they help us to keep things in perspective and realize what is important; and, taking care of a pet generally makes us feel good. The presence of pets provides social support without judgment that is critical to buffering the physiological responses to stress. Recent studies show that contact with dogs help to improve heart and lung function in people with heart failure and that petting a dog or a cat can lower blood pressure and reduce stress hormones. In a study conducted by the University of Minnesota’s Stroke Institute, it was determined that owning a cat could reduce the risk of a heart attack. There is a real connection—a frightening one—between stress and heart disease—and there is a real plan of action you can take to live a healthy life. When we are stuck in traffic or we are running late to the airport, we experience a type of stress that we can now handle with deep breathing, laughter, and the calm realization that certain things (like traffic or snow) are beyond our control. These are situations that are taxing, but they are not worth harming our hearts. Chronic stress and traumatic stress will require a bit more work and time from us, but all forms of stress respond dramatically to our attitude and the ways in which we approach them. I have offered just a few thoughts about how our becoming aware of the link between stress and heart disease can motivate us to become conscious of making healthy adjustments in our daily lives. Please take the time to honestly assess your life. As you do this, be gentle with yourself. Avoid blaming yourself for being in a particular situation. Visualize yourself making changes, one step at a time; small modifications that can make you feel better. Give yourself credit for taking both responsibility and control of your life. Stay focused and present to keep worry at bay. You will find that by managing your stress healthfully, you will be able to enjoy the precious moments in your life and handle whatever comes your way. One of life’s many challenges is shifting and adapting to find your delicate balance. Sometimes it is easier than others but the core is within you.